Top 5 tips for making engaging, motivating instructional videos (with ease). There are two parts to that statement. Making your videos engaging and motivating, and doing it with ease. Let’s start with the first part. How do you make a presentation, instructional video or workshop as engaging and motivating as possible? 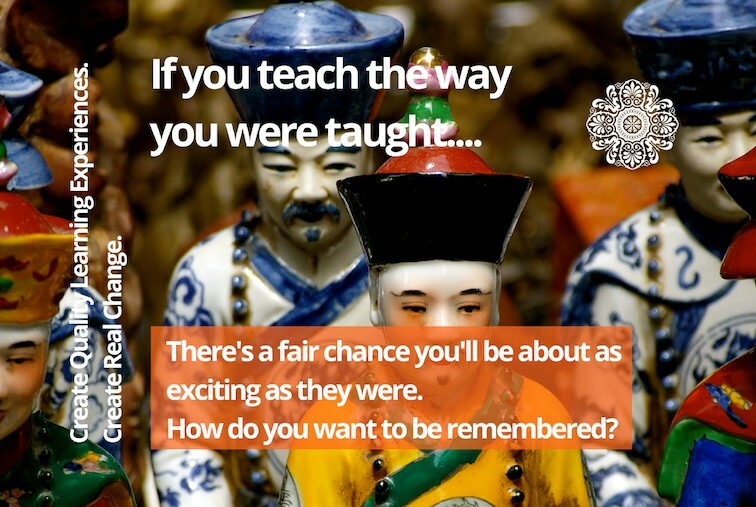 In short, it’s having the right combination of both – because if you don’t, then you’re either an entertainer (full of confidence) or a lecturer (really knowledgable) but you’ll be far from an engaging facilitator of learning. No one wants to sit through boring presentations that have them creating their shopping list instead of listening, and no one wants to be the kind of presenter that clams up when they’re asked to answer basic questions about their field. Right? So what’s the key to creating engaging, motivating presentations, webinars or tutorials? use ninja delivery skills that will have you taking your clients on a learning journey – not just parroting information at them, or filling them full of information they’ll probably never end up putting to good use – actually engaging them in the learning process and doing what we refer to in the industry as ‘learner centred’ and ‘discovery based‘ facilitation of learning. It’s a far cry from lecturing that’s for sure! So how about the second part of that initial question – how to make instructional videos with ease? Following are 5 of my top tips for easily creating online video tutorials, lessons or webinars that are engaging and motivating. These tips will help YOU be the kind of facilitator that your clients want to keep coming back and working with – time and time again – because they get THAT MUCH out of it. Isn’t that what every facilitator really wants? 1. Have a clear structure, and stick to it. Tell ’em what you’re gonna tell ’em. Simple. It’s age old, because it works. Bookending your presentation with an introduction and a conclusion warms the audience up and prepares them for what’s coming so they’re engaged right through to the end, and a conclusion wraps it up and reminds them of the key points you want them to walk away with. Good, simple, foundations of best practice teaching and learning stuff. 2. Don’t READ off a script. Having a script, is awesome. Reading off it verbatim, isn’t. Read it to yourself loads of times, so that the content rolls of your tongue easily. Then when you’re ready to record it, memorise a small section, a few sentences at most if that’s all you can remember in one hit, then look up and speak to the camera as if it’s actually a learner standing right in front of you. If you want to sound natural, inviting and engaging, READing will NOT get you there. I just today listened to an online business guru deliver a presentation about her new offering and you could actually SEE her eyes reading off the teleprompter- SO distracting and fills me with no confidence that she actually believes in what she’s saying. Newsreaders are trained to read what’s coming off the teleprompter – and they do it on a daily basis and have developed their own style, to sound natural. Unless you’re going to put a lot of time and energy into doing the same, just practice the content until you’re comfortable with it – then deliver it with warmth and honesty – you’ll sound WAY more natural and believable! 3. Speak to THEM. Not the camera. Imagine someone is actually inside the camera when you’re filming. Sounds a bit nuts, but it’s how I roll when I’m recording. The camera won’t smile or nod, but your audience will when they’re watching the replay if you’re talking to them as if they’re actually there – so talk to the camera as if it’s a real, live person – and ideally, your ideal client! Have a conversation with them. Ask them rhetorical questions. Speak from the heart, and directly to them and their problems – it’s SO much more engaging than reading something pre-prepared. 4. Plan for editing, when you’re taking the videos. Yep, sounds a bit crazy, but my clients have agreed that this is one of the most helpful pieces of advice when creating digital learning videos. It will make your videos so much simpler to edit and ultimately, so much better! When you’re recording, scan a small section, look up at the camera, take a deep breath, settle yourself, smile, then start speaking. When you’re done, pause BEFORE looking down at the next section. Read the next section, look up, pause, settle, smile, then start the next section – so easy to edit those reading parts out later on! If you don’t take the time to pause before and after each section, it’s a nightmare trying to edit out the bits in between and when you add fade ins and fade outs, it all gets very messy! Believe me – I’ve edited hours of videos and I’ve learnt the hard way – don’t make the same mistakes I did! 5. Production is better than perfection – just get started! So many of my clients have these HUGE blocks around getting started on their videos – and I always give them the same advice – for the love of all things holy, JUST START! If your first video is perfect, then you’ve waited WAY TOO LONG! How many things do you get right the first time you give them a go? Think back to cooking your first omelette, or your first driving lesson, or your first kiss – eek! Getting good at something TAKES PRACTICE – and thinking the first video you do is going to be perfect is just plain insanity. So if you’re putting off doing videos for this reason, then give yourself a good swift kick up the backside of reality, and give it a go – to hell with it if it isn’t perfect the first time – it won’t be! Getting started is the most important part – you’ll get better over time – and just remember, getting something produced is better than getting something perfected! Don’t believe me? Watch this short video – on what REALLY happens when you try to create professional videos! So I asked whether you’d like a step by step guide that outlines the process I use to efficiently create batches of videos… and TA DA! I have a free article that walks you through the main steps – click here to read more! Ready to learn how to pique your clients interest and hold their attention right to the end of your presentation, rather than have them drop off out of sheer boredom? Fabulous! I’ve got a workshop coming up soon, and I’ve also prepared some self study, online materials you can access straight away if you’d prefer. 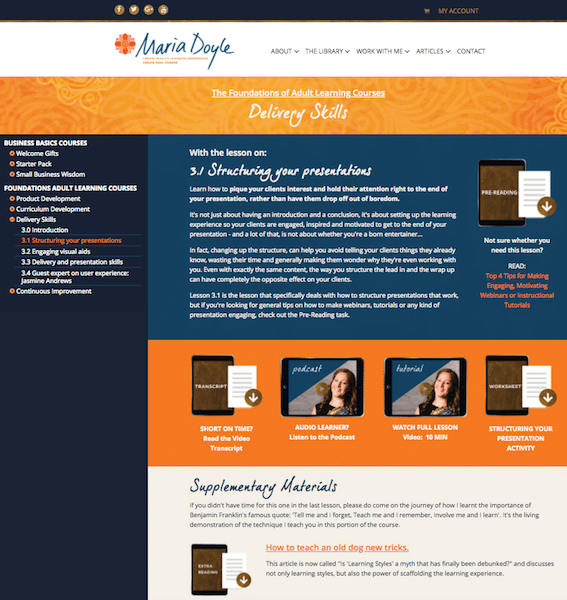 I’ve prepared a tutorial and a worksheet that outlines everything you need to know about how to structure a presentation that will have your clients on the edge of their seats, and motivated right through to the very end, ready to take action with their new skills and expertise. ← The digital tools that I swear by. I just got 3 Yes pleases via email – so we’re 6 and counting…. Yes please. I’d love to see another blooper reel too!!! Loved it. YES PLEASE!!!! Techie help MUCH appreciated!!! Thankyou!! Yes please! Not quite sure what you meant about the presentation being embedded in the video? Do mean like a screen share? Hi Nicole! I mean so that when you play the final video, the video of you talking is inside the video, and the slideshow that goes with the presentation is in the background playing at the same time, so the slides are changing, as you’re talking about them – so in essence it’s like watching you give the presentation live, as you would infront of an audience – you’re talking in front of the screen that is progressing through your slides as you’re talking about them 🙂 an example of what I mean is this webinar I did – https://mariadoyle.com/6-simple-steps-to-systemising-and-selling-your-expertise/ – the slides kick in around the 1.45 minute mark! I’ve had another few via email so it’s officially on the list! Woot woot! I see my ‘yes please’ is not needed, it has the green light already, yey … I love the way you embed your videos, I was watching your introductory videos this morning and noted to ask you how you achieved that. So I’m delighted to see you’ll be sharing your tips, thanks so much Maria.